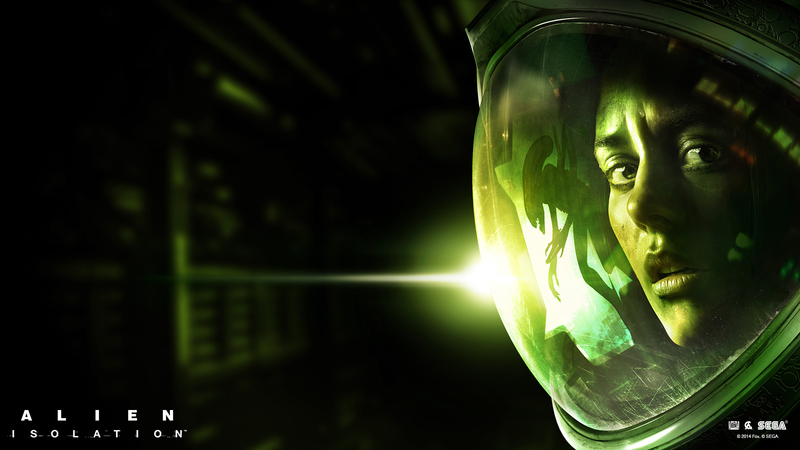 Posted on September 29, 2014 by thelostlighthouse	in Gaming, Video Games and tagged Alien, Alien Isolation, Alien:Isolation, Bethesda, demo, EGX, EGX 2014, EGX London, gaming, horror, Microsoft, PS4, Ripley, Sci-Fi, Sega, Shinji Mikami, Sony, Survival Horror, Tango Gameworks, The Creative Assembly, The Evil Within, The Lost Lighthouse, TLL, tllgaming, video games, Xbox One. This Friday Kii and I had the privilege of receiving press passes to the EGX show, taking place from the 25th-28th of September at Earls Court, London. 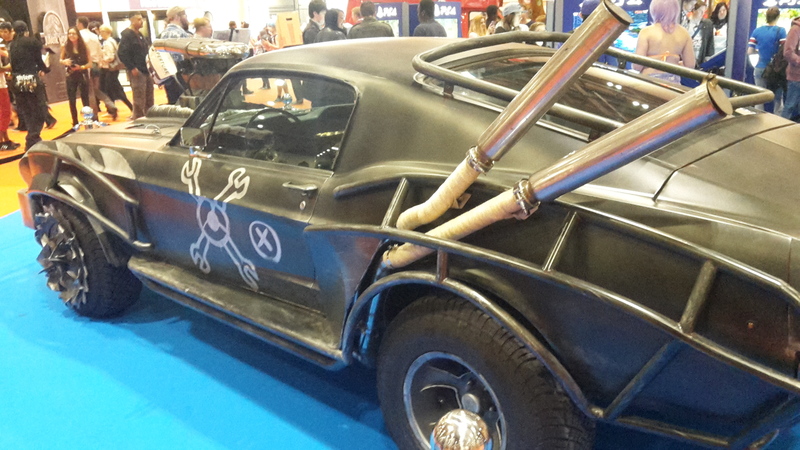 EGX is a huge gaming expo in which developers bring along demos of their upcoming games. Aside from sprawling sections for the big developers and gaming systems, there were also dedicated areas for indie teams too, as well as developer talks, stalls selling games merchandise, gaming charities and competitions. This will be the first of a couple of articles covering the games we played, my thoughts on them and the convention itself. The new Alien game from The Creative Assembly (published by Sega) is one of the games I have been looking forward to the most this year, as I feel I have been missing out on survival horror recently, and the trailers and footage so far for the game seem to be hinting at that gameplay style, as well as tonally being very much in line with Ridley Scott’s original film. We took the lift up to the 18+ area of the expo, and joined what looked like a reasonably long queue leading out of the large walled off black area surrounded with the game’s logo. Joining the back, we were furnished with a free prequel comic. While this is a great bit of promotion and generous, to me it set off alarm bells as if to say ‘you are going to be here a while, here’s some reading for you’. However, these fears were totally unfounded as they let the whole queue in one chunk, showing us a trailer and filling us in on the details of the demo and our objective, and that we had 10 minutes, while the previous group finished up. We were then led in and allowed to choose PS4 or Xbox One. I have to say I wasn’t expecting how well equipped some of these demos would be, as at a guess it looked like they had at least 30 of each system running the game. We sat down in the dark, green tinted booth, provided with some beefy headphones for full immersion, and started up the demo. The objective was simple – get from point A to point B without being horribly murdered by the xenomorph. As Ripley’s daughter, Amanda, you start in a small room with only your motion tracker to pinpoint where it is, and a nearby flamethrower for defence. On the first attempt I missed it, going straight through the door into the access corridor. Creeping by as the alien stomped past, I thought I was clear but he turned and my brain briefly failed and tried to apply the tactic for dealing with clickers in The Last of Us, standing totally still. The alien is not a clicker. Rushing forward, the xenomorph was on me in a split second, right up in my face. Killing me in an instant, it felt like the monster had me personally and the second mouth was about to go right into my face. Loading up the second attempt, the gravity of the situation had sunk in. That was how easy it was for grizzly doom to occur. I had been a little spooked by the atmosphere before, but now my heart was in my throat. I looked to my right, and Kii had already quit after her first death, Survival horror is not her deal, and this game seemed to be delivering just that. I remembered the flamethrower this time, but did not remember the controls for using it so fared no better at all. The death sequence was longer this time, with the highly evolved killing machine pinning me down before murdering me horribly. Grim. Third attempt, I took it slowly and snuck around every crate and wall, but he still saw me. This time I hit him with a short burst from the flamethrower, and he scuttled off into a vent. Picking up the pace a bit, I made it to the end of the section and through the next door. Following my objective marker, I got to what I naively thought must be the exit and the end of the demo. Victory! LOW POWER. FIND GENERATOR TO RESTORE POWER TO DOOR. As I turned, I saw him drop from another vent into the corridor my objective marker now pointed me down. I proceeded with my motion tracker out, still seeing him in the distance. Suddenly, I lost him. The blip got closer and closer and he seemed to appear out of nowhere. I aimed the flamethrower again, but it was empty. I didn’t even bother to run. Game over man. 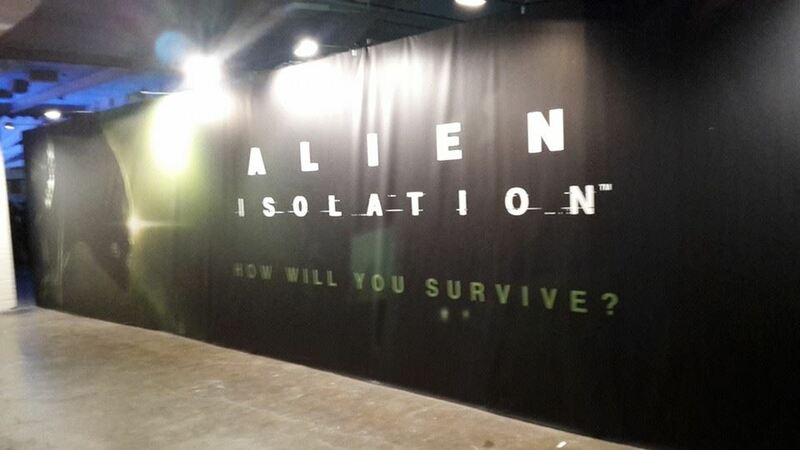 The Alien Isolation demo was, for me at least, a perfect glimpse of a game. The tone and atmosphere were exactly what I wanted from an Alien game. I was almost too terrified to move for most of it, and the total lack of supplies and the feeling of being completely outmatched by your adversary made the game very much seem like true survival horror. This wasn’t you trying to figure out how to defeat a difficult boss fight. This was you trying to avoid a predator that was hunting you, and was very good at it. The self-contained nature of the demo gave nothing away about the story, the graphics were excellent and controls were fluid. The game is out in just over a week, and I am very much considering finally getting a PS4 to play it on. The release date of October 7th just so happens to be my payday, and I’m reasonably sure I can survive a month without food. Next we checked out another one of my most anticipated games, The Evil Within from Tango Gameworks, Bethesda and original Resident Evil architect Shinji Mikami. The promise of more survival horror, the pedigree behind its creation and the footage seen so far has also placed this on my list of ‘if it’s good, finally go next-gen for it’ games. We queued for a bit longer this time, maybe 20 minutes. Bethesda had provided cardboard versions of a safe to put on your head, with a flap for the door, based on one of the monsters in the trailers (most people used these boxes to carry around the rest of their merch). We were again given the choice of PS4 or Xbox One, with a decent number of systems on hand, and sat down in front of the game. Kii was very clear with the attendants that she wasn’t playing. Fool her once horror games? Shame on you. Fool her twice? Shame on her. 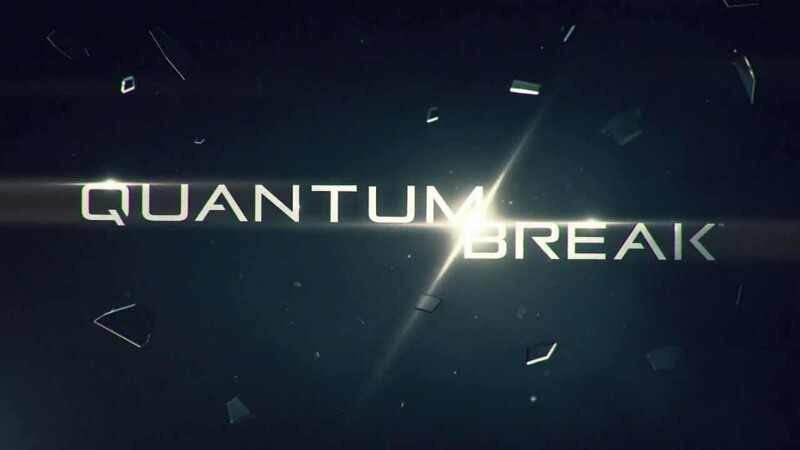 First was a short series of clips from throughout the game, all out of context so no spoilers. I couldn’t hear any of the dialogue through my headphones, which were quite quiet and fuzzy. I wasn’t sure if this was intentional so as to not give away any story, or if the headphones were just broken. Probably the latter. Anyway, after a tantalising clip show, the protagonist Sebastian Castellanos (an excellent name) was dropped outside a large ominous looking mansion (Mikami loves his mansions). After testing out my revolver on some crows (which dropped shotgun shells for some reason. Maybe they were shiny, but survival horror games should probably have fewer ammo pick ups and drops than that), I arrived at a grand courtyard area with a fountain. 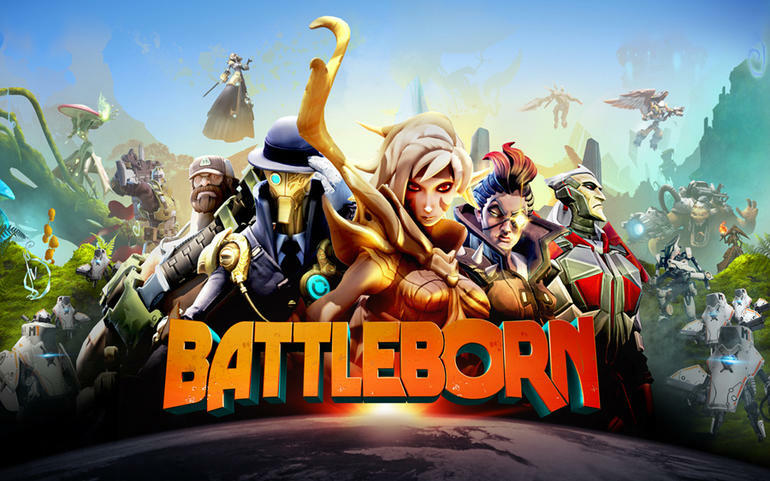 Being very used to similar third person games, I fastidiously looked around the courtyard for ammo and collectibles despite having a limited time to play and collecting items being meaningless for me playing a demo. Entering the mansion, there was a brief glimpse of what looked like a patient on a gurney being rushed through a huge metal door by some doctors, slamming shut behind them. After a bit more exploring, I encountered my first enemy, being some form of zombie/wight/maniac. When you kill an enemy, as well as looting ammo or other pick ups, you can also drop a match and set the corpse on fire. I’m not sure what function this plays, maybe they can reanimate if you leave them? Presumably this is something that will be clearer after more time with the game. Needless to say I did it to every enemy just in case (even killing one with fire after knocking it down with a shotgun blast), to the point where I seemed to run out of matches. Admittedly, I probably didn’t need to set the dead crows on fire. Lesson learnt. When the second enemy appeared, the screen started to distort in a combination of a hallucination and static, and a hooded man appeared and stalked towards me. I ran, tail between my legs, and he disappeared. Next, I found a room containing a severed head with the brain exposed, surrounded by tools and probes attached for study. A mini game started, playing a recording to give hints at where to insert the probe. Getting it wrong damaged your own health somehow, and one of the attendants tried to explain the section to me from behind despite the fact that I was wearing noise cancelling headphones. Moving on, I went up the stairs in the atrium and ended up in a large library. A few of the enemies looked particularly grotesque, some being wrapped in barbed wire of with part of their face hanging off. Heading up a ladder, the hooded man appeared again, This time I tried shooting, with no effect, and then decided to see what would happen if he reached me. Maybe it really was a hallucination and he would just disappear? I was wrong. Before disappearing he knocked me down and nearly killed me. I then got the hell out of there, and started to continue into the mansion, but our time with the game had ran out. 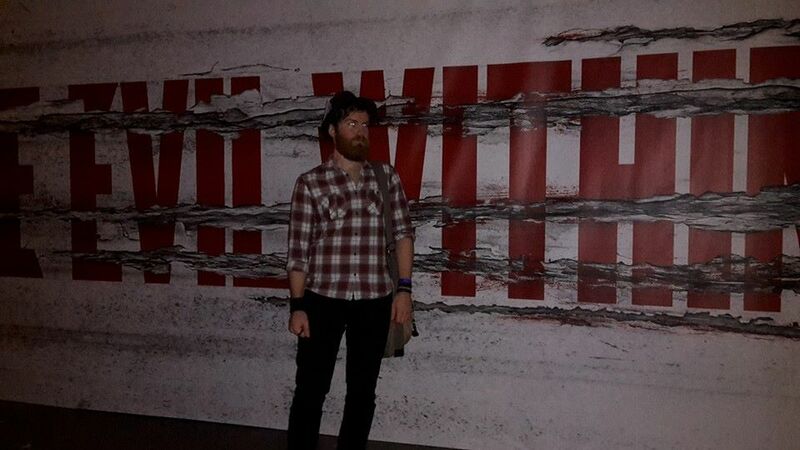 The Evil Within demo wasn’t quite as close to classic survival horror as I would have liked (thought this may be unrepresentative of the rest of the game, and I still have high hopes), but it certainly captured the atmosphere of the original Resident Evil and that is definitely a positive. There was a really freaky resonance that felt familiar and new at the same time, with effective if standard gameplay mechanics. The trailers and some of the character design indicates there may be some over-reliance on gore over genuine scares, but that remains to be seen in the context of the game. 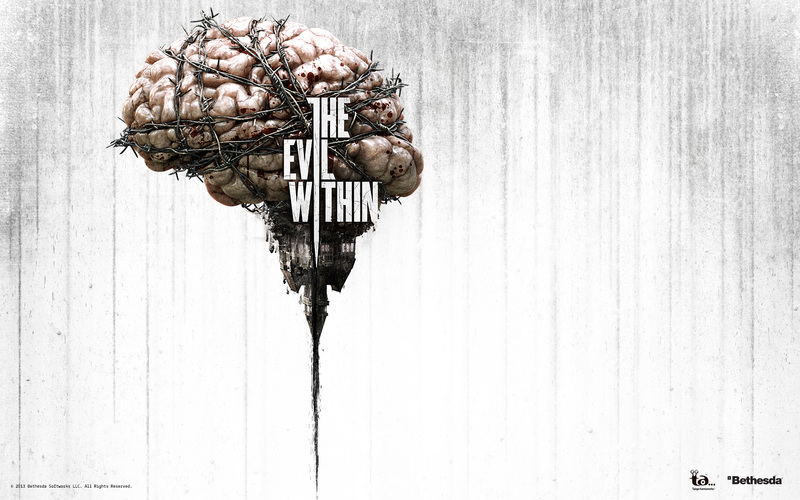 Regardless, my excitement for The Evil Within has not dulled at all after playing the demo, if anything it has gone up and I’ll be looking forward to the October 14th release. Come back tomorrow for some more ramblings about some games I played at EGX!